On behalf of our member companies that provide more than 1 million jobs in the state and make the New Jersey Business & Industry Association the largest statewide business association in the country, we strongly OPPOSE Assembly bill 15, which increases the minimum wage to $15 an hour. Historically, NJBIA has been opposed to a minimum wage that artificially inflates the value of a low-skilled position. We have also called for a responsible and predictive pathway to increasing New Jersey’s minimum wage. Unfortunately, this bill falls woefully short of that standard and exacerbates an already challenging climate for NJ small businesses. Increased costs to cover additional subsidies for energy deliveries and costs for renewable energy efforts. This was added to a business climate that was already dead last in the rankings. Our status as a cost outlier results in a continued trend of outmigration, costing our state and our general fund an average loss of over $2 billion in adjusted gross income annually. From 2004 to 2016, New Jersey, in fact, lost a total of $24.9 billion in adjusted gross income as job creators and residents alike look for greener pastures. Further, our unfortunate business climate discourages new proprietors or out-of-state businesses to take a leap of faith and come to New Jersey. Who exactly does the increased minimum wage impact? Our small business owners; the job creators who operate on already slim profit margins and who are wondering about their ability to pay a low-skilled worker 70 percent more than what they are paying them today – without any raising of skills to justify the increase. Under the current terms of this bill, employers who pay the state’s minimum wage will see a 35 percent increase to their expenditures within just one year, when including increased payroll taxes as a result of the wage increase. But you don’t need to run a business association to know the response of the business community. Just listen to the radio, read the online comments in hundreds of stories or take a moment to look at the letters you’ve received from your constituency about this legislation. Employers will either be cutting employee hours or benefits, raising prices, or automating. Some will move out or close shop all together. It’s important to quantify just how many people will be impacted by this bill. According to the U.S. Small Business Administration, 600,000 workers are employed by New Jersey companies who employ 20 employees or less. These are the most vulnerable companies and, in turn, so are their employees. When margins are tight, you have two choices – increase your revenue or cut your expenses. Think about when your personal balance sheet has no room for additional spending? Where do you turn? Yes, you cut expenses. Why would we expect New Jersey’s small businesses to act any differently? We are now 10 years from the end of the last national recession with many economists predicting the next recession to hit within the next two or three years. According to Standard & Poor’s, New Jersey is one of 15 states at an elevated risk for fiscal distress during the next recession. Even California realized the need to enact a similar economic safeguard when it decided to raise its minimum wage to $15 an hour by the year 2022. Without consideration of the costs of health benefits, more employers will undoubtedly choose to drop employee health benefits plans to adjust for the increase in wages. As such, additional state funds will need to be appropriated to cover the costs, increasing our state budget, or an access to care issue will exist. For this reason, states like New York provided tax credits for companies to hire young employees. Employers in the quick service restaurant industry in New York City were able to take advantage of this tax credit to hire youth employees. However, they were still forced to raise prices to accommodate for their increased mandated wages. 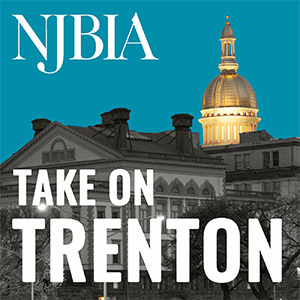 NJBIA has long been an advocate for workforce development. Knowing that our members invest in their employees’ skill-building, we are calling for complementary legislation that would provide tax relief for companies who invest in their employees through investing in workforce development. The fact is, our small business owners pay their employees what they can afford. They want the best workers who can provide the best products and services to be competitive, with a full understanding of their own budget. But the economic pie is only so big for our business owners and the slices continue to get smaller. These job creators should be celebrated for competing in the most challenging business climate in the nation, not further penalized for their survival or prosperity. Everyone agrees, we have an affordability crisis in New Jersey. This will simply be another hike in expenditures. In conclusion, this bill in its current form will have a negative impact on our state’s job creators, increase the state budget, without a way to pay the additional costs the state will incur. And it will have unintended consequences on those the legislation seeks to assist most. We respectfully ask the Legislature to acknowledge the cumulative impacts of a $15 minimum wage on business, on top of the already increased taxes, high costs and additional mandates placed on businesses just this past year. We ask our lawmakers to hit the pause button and consider the consequences before advancing legislation that will have ramifications on New Jersey’s job creators and economy in both the short term and the long term. You make several good arguments against a $15 minimum wage – but you leave out one important question…. What gives Government the right to set wages in the first place. Where in the Constitution do they get this “power”? The free market has done wonders for this country’s growth – let it work. Free Market Capitalism – not Socialism will solve much of this country’s economic problems!! Lastly, minimum wage laws hurt the very people they claim to help – low skilled, mostly young workers just embarking on their work careers! !